Fashion Industry Broadcast and Style Planet TV is proud to present its new 11-part, hour long Film docuseries “Renegades”. As a teaser before the 11 films are released, we are revealing a post on THE BROADCAST each week for the next 11 weeks. This week the story is on Hedi Slimane. Our Renegades refused to follow the laws of the ‘fashion rulebook’. The dreamers, the rebels, the auteurs, without whom popular culture would never have been quite as interesting. Even if you hold only the most casual interest in the world of fashion, it’s hard to deny the fascinating life stories of every one of our Renegades. John Galliano is one of the most celebrated and equally notorious fashion designers of our time. He catapulted onto the French fashion scene with the help of some of the biggest names in the business who saw in him a unique talent. His creativity is unparalleled, drawing on his rich heritage and love of culture. He is a character unto himself, as much as the models open the theatre of his runway, Galliano himself draws the final curtain. His own physicality and costume rival that of his couture gowns. Galliano injected fun into the stuffy world of high fashion, exploring opulence as a form of entertainment. His shows were completely immersive and rich with story. Galliano redefined the possibility of a fashion show, moving it beyond the sales room, beyond the industry to a level of public spectacle that would attract the attention of the world. After moving to Paris, Galliano became the first British designer to lead a French Couture House with his appointment at the House of Givenchy. But it was not long before he was promoted to the head of Christian Dior. Not only was he an outsider, but at just 36 years of age he was considerably young for a role of such magnitude. It was his youthful and energetic spirit which would redefine the world of fashion and French Haute Couture, with a legacy that would outlast his final and dramatic dismissal from the house. This is a story of Galliano the renegade, whose penchant for rebellion would make him one of the world’s top creative geniuses and the bad boy of fashion. Born in 1960 in the British Territory of Gibraltar to his native father and Spanish mother, a plumber and flamenco teacher respectively, John Galliano moved to the South of England when he was just six years old. His parents moved in hope for improved financial employment opportunities and Galliano explains how he was timid and insecure growing up in a strict Roman Catholic family. Finding it difficult as a foreign child being brought up in an English environment, Galliano often felt different and left out in his neighbourhood. He recalls how his mother would insist on dressing him in extravagant attire for running errands and everyday occasions and as a result he often felt bullied and estranged at the London boy’s Grammar school that he attended. After finishing high school, Galliano went on to study at Saint Martin’s School of Art, from which he graduated in 1988 with a first-class honour’s degree. Known for his whimsical and outrageous designs, his first collection titled “Les Incroyables” was extremely well received by critics, and was sold in Browns, the London fashion boutique. Galliano then moved on to launch his own fashion label with stylist Amanda Harlech and milliner, Stephen Jones. The designer was however not very gifted with finances, which led to the termination of multiple backers and his eventual bankruptcy in 1990. It was then that Galliano decided to move to Paris to make his skills more prominent to the international fashion industry, improve his client base and gain the financial backing he knew he could achieve. Galliano soon caught the attention of Moroccan designer Faycal Amor, who based himself in Paris as the owner and creative director of fashion label Plein Sud. Sharing headquarters with this label, Galliano was able to establish himself as a foreigner designer in France and held his first show in Paris in 1989 during Paris Fashion week. Galliano struggled financially for years, still producing work intermittently, until he met and gained the support of American Vogue editor-in-chief Anna Wintour and Vogue’s creative director for the American edition, Andre Leon Talley, the then European Correspondent at Vanity Fair. These influential connections introduced him to the Portuguese fashion advocate and socialite Saõ Schlumberger, who financially and publicly helped Galliano regain prominence in the fashion world and even loaned him her house for a fashion show arranging for several top models to work for free. To regain his footing Galliano also attained financial backers of the venture firm Arbela Inc. This step into the high society fashion circle is considered as a key component in Galliano’s career and very important to his success as a designer. A rapid change soon swept across Paris Fashion Houses when Bernard Arnault, chairman and CEO of LVMH decided to revamp a large cluster of his luxury holdings, among those being Givenchy and Dior, where Hubert de Givenchy was set to retire and Gianfranco Ferré, designer at Dior since 1989 needed a new change. In 1995 Galliano was appointed the designer of Givenchy by Bernard Arnault, and thus became the first head British designer of a major French Couture house. He was soon to be replaced by Alexander McQueen and moved onto Christian Dior a year later where he received critical acclaim for his Haute Couture and ready-to- wear collections. This era caused quite a stir in the high citadel of Paris fashion as it marked an end to the traditional culture of post-war couture and the beginning of the rock-star designer craze where brands started competing for celebrity style publicity. The shift away from traditional Parisian Couture towards the creative forces of the trendy London scene was quite shocking for the many still stuck in the French ancient regime mindset. 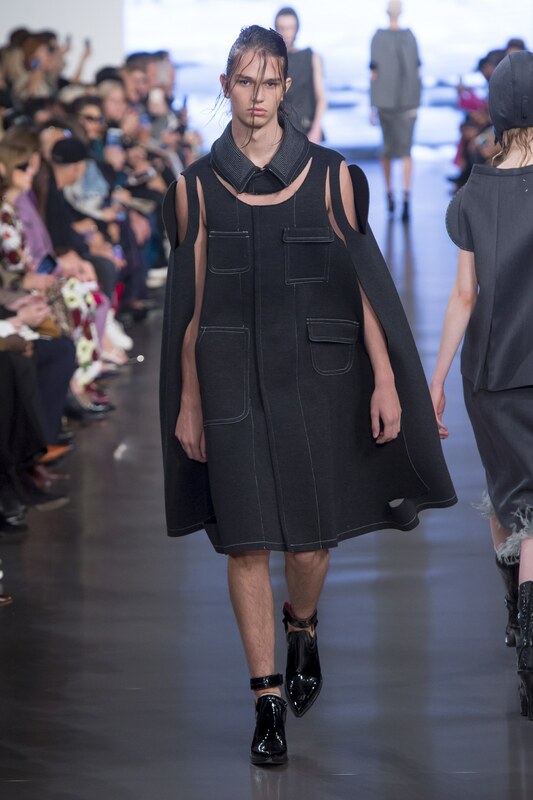 After all, it was a little shocking that notably acclaimed houses were turning to such young designers with little to no experience in couture to lead the future of international fashion. Arnault’s choices were however soundly calculated. Galliano and McQueen were storytelling designers, narrative-spinners, imaginative and romantic geniuses gifted with the ability to transform runways into innovative theatrical shows. Givenchy Haute Couture by John Galliano, Fall 1996. Photo Credit: jalougallery.com. Galliano debuted his first show in line with the house’s 50th anniversary. Galliano used the occasion to reflect on the houses history and the future he would bring to it. Opening with classic tailoring that reflected the houses signature coats, there followed a gentle transition into modernity, with short skirts, and leopard negligees disrupting the classicism. Before falling headlong into cultural African Headdress, and beading with bright colourful and exotic pieces adding a surprising direction for the house. “Christian Dior’s Geisha” was the creative concept behind Galliano’s first ready to wear collection for Autumn/ Winter in 1997. Automatic doors etched with the house’s logo opened on a new era of design for the esteemed French house. 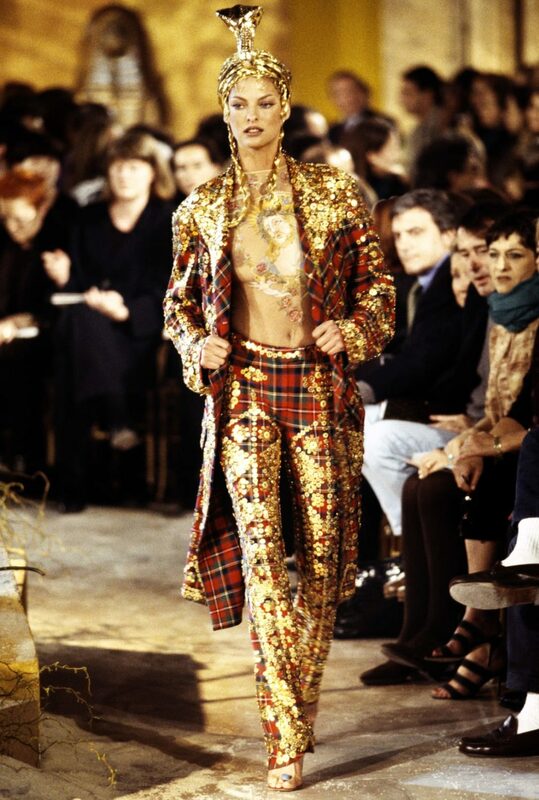 Highly energetic, youthful in spirit, Galliano injected his love of culture alongside hall mark tweed suits that were excited by a shorter than short skirt. Top models like Linda Evangelista and Carla Bruni brought to life Galliano’s exotic vision of American screen siren Jayne Mansfield taking a trip through the orient. 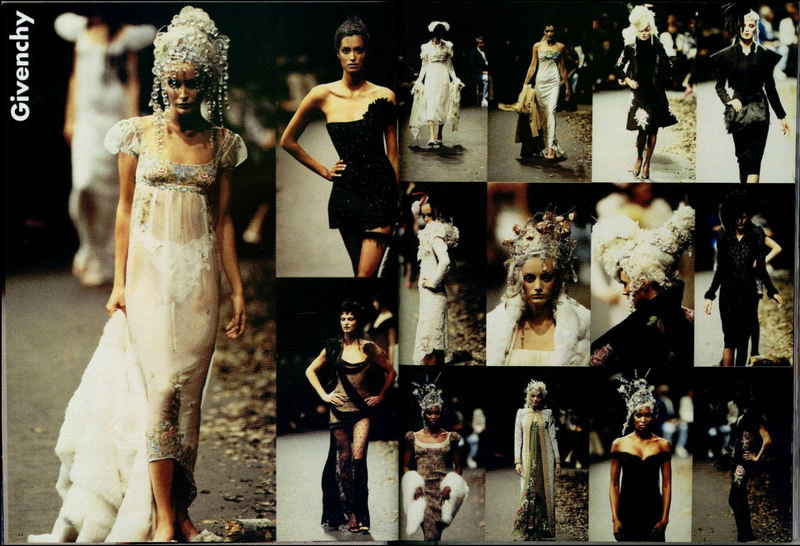 For Spring 1998 Galliano raised the spectacle of his shows to new heights using the backdrop of Paris’s Opera Garnier. Based on his muse Italian heiress Marchesa Casati, a mysterious and eccentric patron of the arts, Galliano transported a 20th century salon to modern day Paris. An extremely feminine collection with it’s subtle colour palette, velvet gowns, lace sheaths, silk blouses and string of pearls that choked the neck. Its opulence was more understated for Galliano giving way to classic tailoring and his bias-cut backless gowns. But it was not always about looking back for inspiration for Galliano. On the precipice of the 21st century the world was looking to its creatives to present them with a strong vision for the future. Galliano did not disappoint, welcoming the noughties in Versailles with a haute couture collection with revolutionary undertones. Matrix leather coats in red and black, futuristic mini dresses in metallic purple, even a red open parachute billowing behind a new innovation parachute dress for Galliano’s closing number. 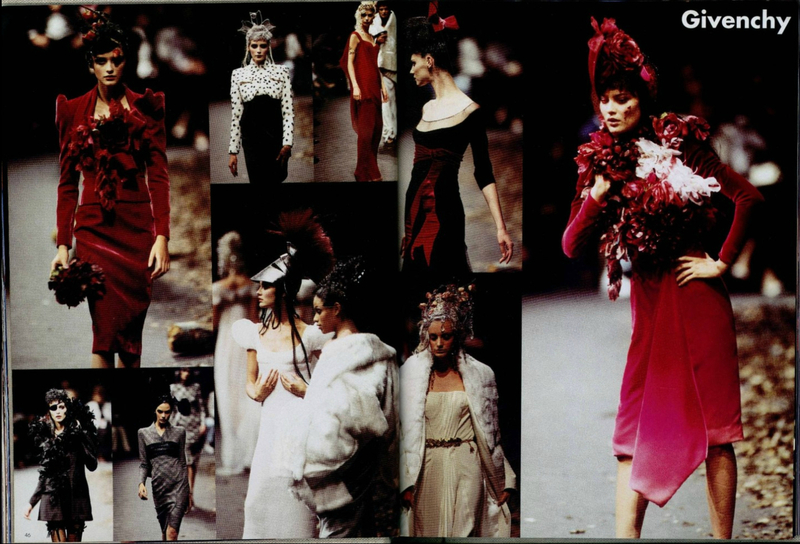 By the Spring of 2003 Galliano was in full swing. Vogue’s Sarah Mower argued “The method to John Galliano’s Dior madness is no longer in debate” saying that “the designer has rebranded the legendary Parisian house via high-octane couture shows that broach the wilder shores of creativity and are then filtered down into instantly recognisable ready-to-wear pieces for Christian Dior addicts”. His signatures were forming from his over-sized leather jackets to his parachute dresses cinched at the hip, barely-there bikinis, slinky pants and voluminous tops showing off his craft by cutting fabric on the bias to make the most of its movement. Glamour was the overriding feeling, Galliano teamed up with his long-term collaborator and incidentally one of the world’s leading makeup artists – Pat McGrath, to create the opulent characters that became synonymous with Galliano’s time at Dior. 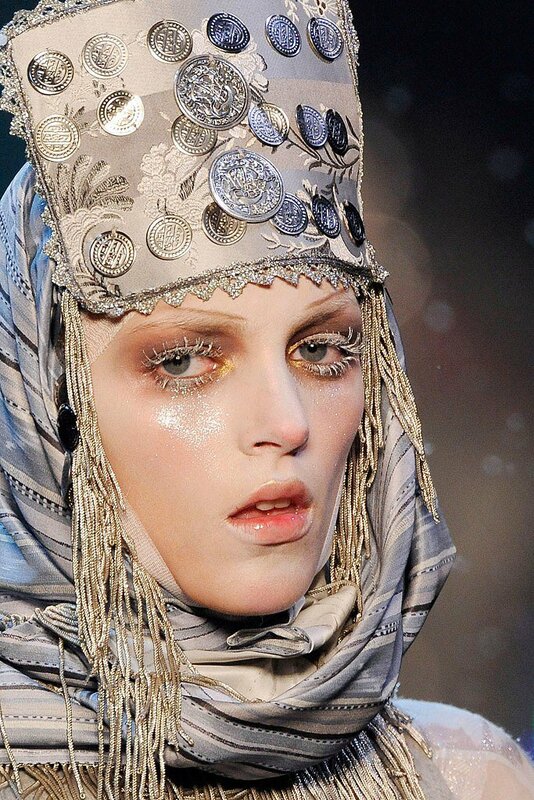 Drawing on historical references Pat and Galliano’s creatures exploded onto the runway with overblown eye lashes, exaggerated eyebrows and high gloss lips. There was an overt sexiness to Galliano’s work which came from his choice in materials, the cut of his cloth and his own personal technique known as decortique. The term itself which in French means to shell a lobster, is in Galliano’s world a metaphor for the undone, the unfinished. Peeled back layers, snippets of skin which alluded to the female form beneath and the process of his craft. For the Fall of 2003, under his own line John Galliano evoked the spirit and power of actress Joan Crawford in his Autumn/Winter Couture collection. The sartorial eyebrows and 1930’s glamour was interpreted in voluminous asymmetric sleeves, luxurious fur and vintage hats. 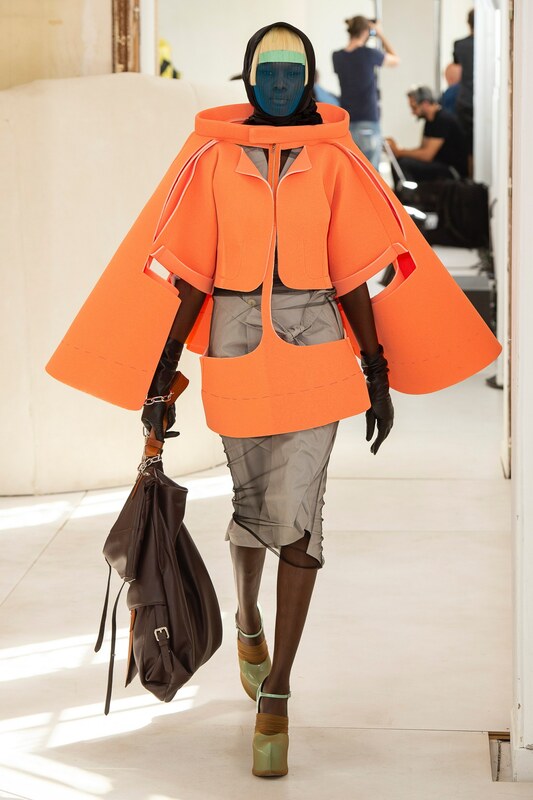 Draped and tailored winter coats in bold opaque colours gave way to a lighter boudoir of underwear as outerwear, layering sheers and silks that revealed waist high pin stripes and garter belts. Galliano moments like these are so immersive in the historic, that Galliano himself would dress to character as part of his process. The theatre of his shows, from the attitude of the models to the drama of the makeup and the beat of the soundtrack form the notes of modernity that pull together Galliano’s vision into the new era. His label allowed for pure expression and depth into Galliano’s story telling. Meanwhile, his shows at Dior whilst equally dramatic, delivered a more current offering, with the historic traces geared to the future in a mix of urban, couture and avant-garde. For Dior’s Fall 2003 ready-to-wear collection skin tight latex was contrasted against Harlequin flounces. Whilst his couture offering drew on Galliano’s Spanish heritage, fusing the houses French corsetry atop of flamenco ball gowns and featuring tango fringed slinky numbers. Galliano capped off the show taking his bow with the stance of a bull fighter staring down his critics. Galliano had a clear vision and that did not include stepping in line with the current climate. Galliano new instinctively that haute couture was at the heart of the Dior Brand, it is the creative vision which enchants the public and forms the draw card for its ready to wear lines. So, at a time of economic plight Galliano forged through with even more extravagance in his 2004 fall / winter runway with a collection fit for a Queen; albeit a provocative one. Continuing the fashion entertainment, Dior’s 2005 Fall Couture Show delighted onlookers with a moody carriage ride into the Edwardian Era. The show marked what would have been the 100th birthday of the founding designer Christian Dior. This collection became the turning point where the origins of Dior’s archives and its new captain really began to merge. Where Galliano made his claim was to bring a sense of lightness and subtle provocations with his sheer panels that lifted the aged silhouettes into a new era. Even transforming the houses signature tweed suits by remaking them in sheer organza. 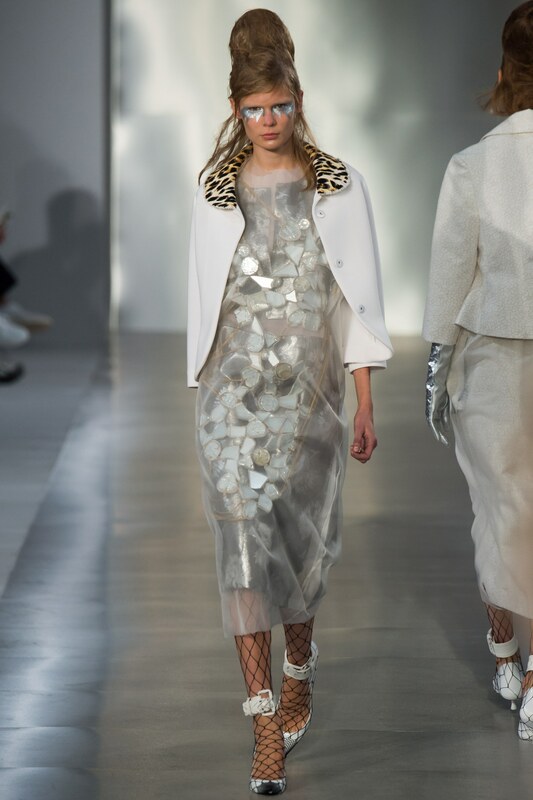 For Vogue’s Sarah Mower “It was a timely reminder of Galliano’s capacity for the delicate and poetic, as well as a reaffirmation of the incredible foundations of the House of Dior”. By 2007 two anniversaries were afoot, Galliano was approaching ten years at the helm and the house of Christian Dior was to celebrate its 60th anniversary. The Fall Haute Couture Show was a masterful celebration of the two with all the joy of a live Gospel Choir that provided the shows soundtrack. Galliano’s flair had evolved in perfect balance with 1950s creations of the house’s foundations. Polished ball gowns, hand painted silks, innovative silhouettes and opulence were the perfect notes to mark the occasion. Galliano had achieved the pinnacle of French fashion, and the foreigner took the occasion to remind us of his origins taking his bow garbed in the traditional outfit of a Picador. In that same year Galliano’s Spring Summer collection was one of the most memorable runways of his time with Dior. Inspired by Puccini’s Opera Madame Butterfly, of a tragic romance between two cultures, Galliano captured the beauty of Japanese heritage and infused it with the Golden Age of Couture. Cherry Blossoms amidst French architecture reminiscent of Dior’s salons formed the backdrop to the collection, which gave reference to the traditional Geisha, Kimonos, Samurai and origami with fabric folded to mimic the traditional paper art form. More than innovative, it was other-worldly. 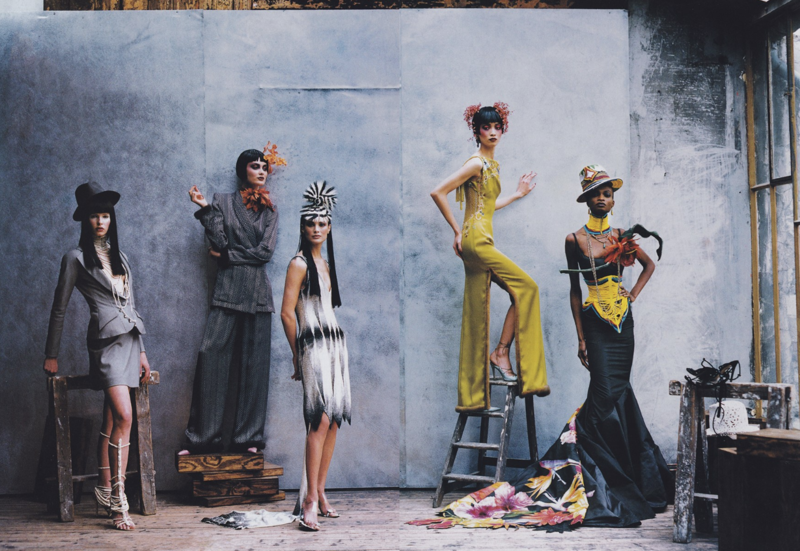 Galliano was creating fashion history adding to the annals of Dior’s rich archives with his unique creative vision. For Fall 2008 Galliano brought back a sense of 60s “optimism and opulence”. Inspired by the sirens of that era and American Vogue, Galliano stepped back through the archives of Dior’s own contribution to fashion at that time for inspiration. 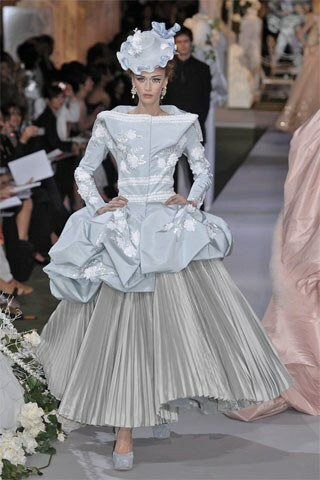 The dream continued with Galliano’s critically acclaimed spring summer 2010 Haute Couture Collection. Inspired by English-American designer Charles James whose archives are held in the Costume Institute. 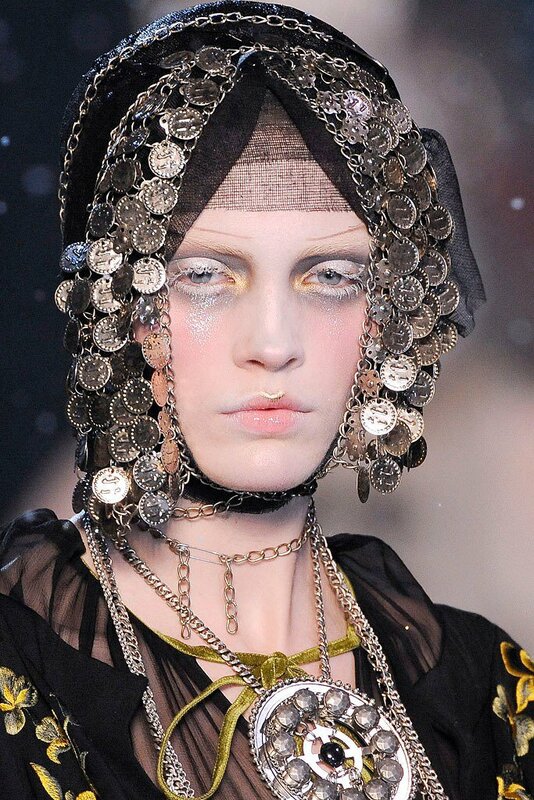 Galliano’s equestrian theme ran through its sculptured tailoring, extravagant ball gowns, top hats and veils. Pat McGrath was on hand to present the porcelain complexion and red lips on top models like Karlie Kloss, whilst Dior fans enjoyed the regal opulence of the best in show. For Galliano who had begun life as an illustrator, a collection dedicated to one of the greatest fashion illustrators of all time Rene Gruau, would in hindsight be a fitting subject for Galliano’s last couture show at Dior. The Spring Summer collection of 2012 was for critics one of Galliano’s finest moments, it drew on the new look of Dior from the golden age of haute couture of the forties and fifties, reinventing the “flared skirts cinched at the waist” the “pencil thin” gowns and the voluminous swing coats. Galliano brought to life the illustrative qualities of Gruau’s masterpieces incorporating into the fabrics and embroidery the effects of pen, pencil and washes which were sketched across the artists pages. According to Vogue’s Tim Blanks, the collection was one of the most technically challenging with Dior artisans using “seven layers of tulle to create a shimmering depth of dégradé” to create the effect of light and shade. It was hallmark Dior, with the creative injection that only Galliano himself could draw to it. For his longstanding achievements and contribution to fashion, Galliano was named British Designer of the Year in 1987, 1994 and 1997, and he was made a Chevalier in the French Legion of Honour in 2010, France’s highest award. He went on and proved to be so much more than his showmanship at Dior. Even though he knew little French, he had the know-how and expertise of visioning and communicating with the seamstresses, cutters and embroiderers. It was never his professionalism at work that brought his relationship with the company to an end. As spectacular as was Galliano’s rise to the pinnacle of designer fashion at The House of Dior, so was his downfall and banishment. In one evening, his world would come crashing down. On 25 February 2011, Dior suspended John Galliano because of his arrest over an alleged anti-Jewish tirade in a Paris bar. The anti-Semitic speech happened just before Paris Fashion Week Autumn/Winter 2012. In France, expressing anti-Semitic ideas is illegal. On 8 September 2011, Galliano was found guilty of making anti- Semitic remarks and sentenced to pay a total of €6,000 in suspended fines after a French court found him guilty of voicing public insults on account of race. Through this time Galliano’s company Cheyenne Freedom was also demanded to pay €1.17 million to Dior for damaging the company’s image and reputation. Even the French Government reacted to the affair, stripping Galliano of the Legion of Honour Award he had so deservedly earned not one year before. Both Dior and Galliano’s eponymous line which fell under the same banner also went into immediate overdrive in an attempt to keep the momentum of both houses going whilst minimising any damage. Galliano was dismissed from the head of his own line and his tenure at Dior, with Raf Simmons finally taking over for the French House and Bill Gaytten picking up the reins at John Galliano. For the latter, the intent was to keep producing under the Galliano name, with director Pierre Dennis stating “Obviously it has been a complicated year, but people are keen to support the house, and we are producing great collections. I hope this will be reflected in the sales”. As for Galliano, he argued no recollection of the incident that led to his ruin, acknowledging that his addiction had caused him to blackout and act out of character. Plagued by the death of his father and friend Steven Robinson, a colleague and Galliano’s right-hand man who had been there since the beginning of his career, Galliano’s composure began to crack under his addiction which increased with the intensity of his surmounting pressure to produce. Galliano took some time off during 2012 to deal with the court orderings from his public mishap and to concentrate on reconstructing his damaged career in the public eye. In early 2013 Anna Wintour helped Galliano attain temporary residency at Oscar del la Renta’s design studio to help prepare for a showing for Oscar’s fall 2013 ready-to-wear collection at New York Fashion Week. Galliano stayed clear of the limelight remaining backstage, despite the collection’s positive reception. Some reports even indicated a potential succession to the house of De la Renta, but these rumours never came to fruition. 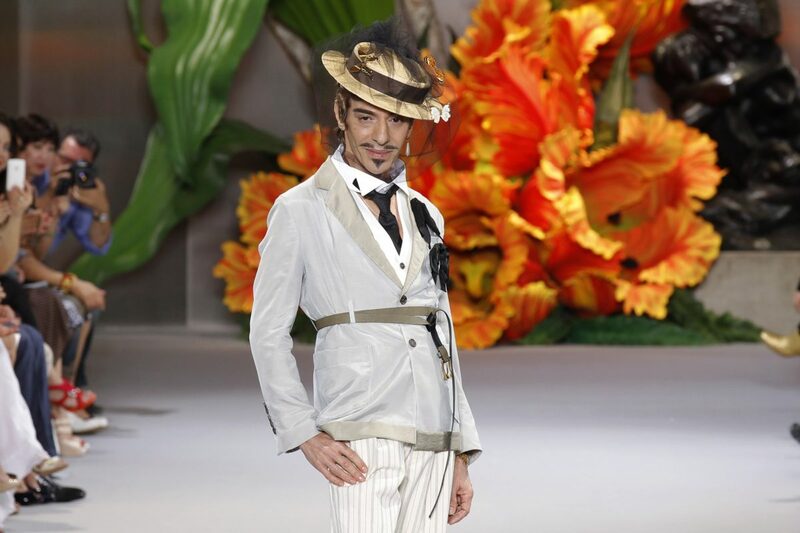 Many in the industry had stood by Galliano during this downturn, hoping to see him return. Jean Paul Gautier discussed publicly that Galliano had some unfinished business, arguing that the incident was incongruous to the inclusive nature of his creations. Model and friend Kate Moss who has credited Galliano for teaching her how to walk on the runway, also convinced Galliano to produce again, engaging him to design her wedding gown in 2013. On the 12th of June 2013, John Galliano’s first filmed interview since his dismissal from Christian Dior was broadcast on United States television. Chat Show host Charlie Rose interrogated the designer, observing the unnatural pressures of the industry and its impact on designers like the late Alexander McQueen, whom took his own life in 2010. True to his sentiments, John Galliano started to “give back” to the fashion industry, appearing as a student adviser at his former London College, Central Saint Martins and even signing on to present a three-day masterclass with New York’s Parsons School for Design. However, the designer’s most speculated return to fashion was marked by the announcement by the OTB Group stating that John Galliano would take on the position of creative director for Maison Margiela. 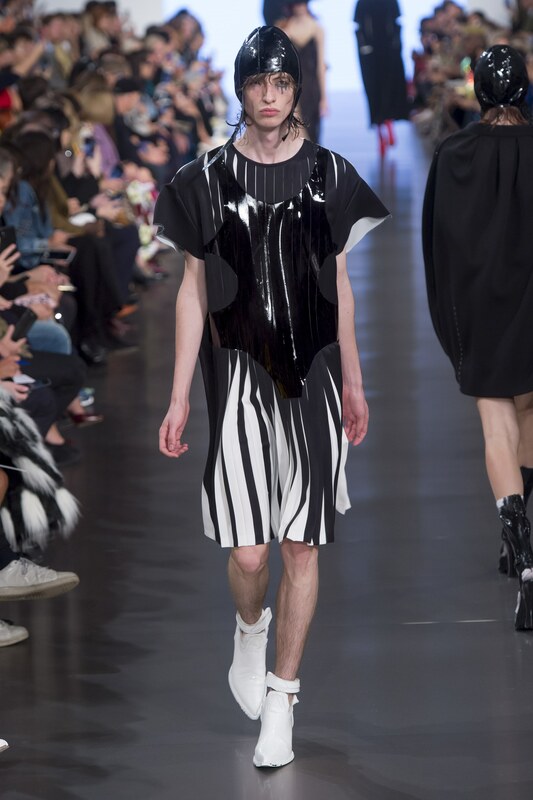 Margiela had stepped down from his eponymous label in 2009 when it was acquired by Only the Brave, the same company behind Marni, Viktor & Rolf and Diesel. The Belgian designers’ own legacy was to see the house run as a collective, with artisans and designers to dress in white lab coats as a form of equilateral uniformity. Designers Marios Schwab and Matthiue Blazy were both contenders to lead the team but neither were officially appointed. According to Vogue’s Lauren Milligan, despite Margiela’s own policy, he was keen to “see a leader at the label” and in late 2014 Margiela was said to have approved of Galliano as the official successor. Shortly after the announcement, Galliano attended the annual British Fashion Awards to present the Outstanding Achievement Honour to his most fervent supporter, Anna Wintour. In staunch loyalty, Wintour collected the award in a creation from Galliano’s first collection at Maison Martin Margiela. The public appearances continued with Galliano agreeing to a rare interview at the annual Vogue Festival. Galliano sat down with the then editor of British Vogue, Alexandra Shulman, to discuss his design philosophy and the new appointment at the house. In continuing to show his reform and restore his image, Galliano also spoke at a Central London Synagogue to address the anti-Semitic remarks that marred his persona, expressing a new outlook and attitude towards public responsibility. Once on board at Margiela, Galliano restructured the collective to form a mix of current and new team members, pulling his right hands from Dior to make up his dream team. 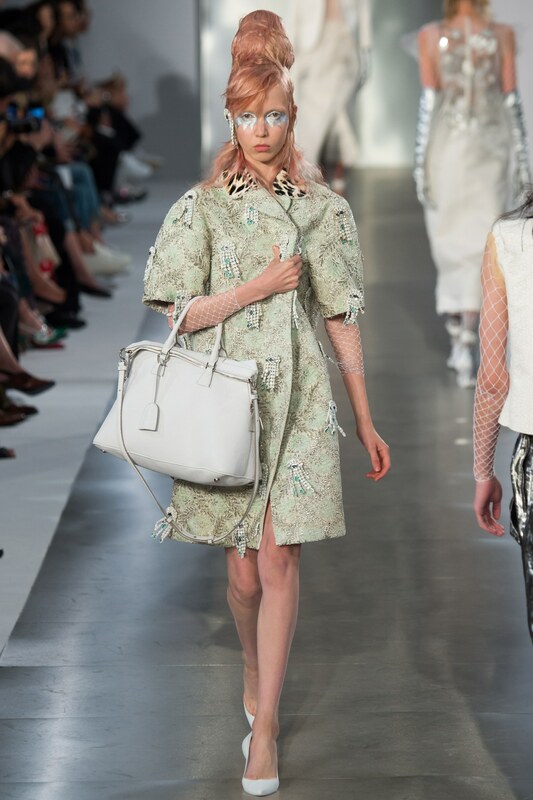 In 2015 Galliano debuted his first show for the house, marking his triumphant return to the fashion fold. In former years Galliano would have ended the show in a garb as dramatic as one of his designs, with the press and inner circle invited to explore the theatre backstage; one-year Galliano even famously transformed the back of house into something resembling the treasures of King Tuts tomb. 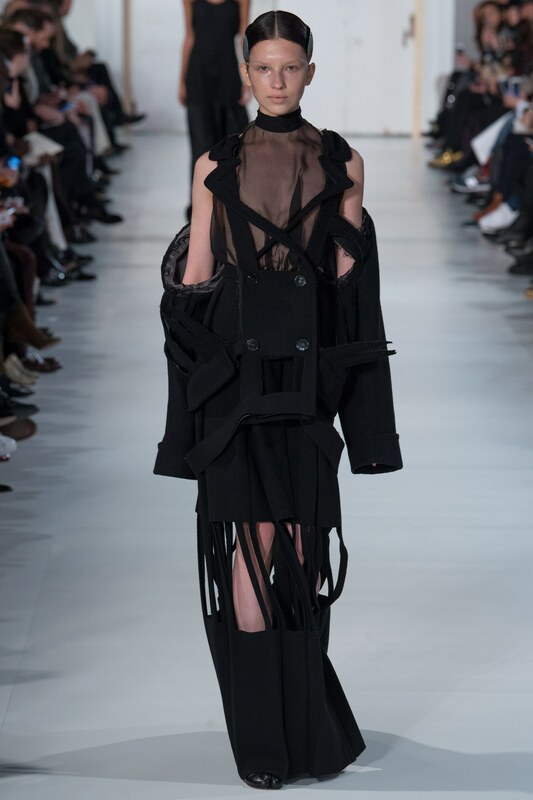 But at Margiela we saw a new, subdued Galliano. In the spirit of his predecessor, Galliano was ever humble, stepping out momentarily to his applause dressed in the same technician coat as worn by his team. Backstage access was exceptionally off limits to the press, with the designer delivering his statement via a press release. This lack of communication continued through the following seasons, with the now reclusive designer evading direct interviews in and around his shows. 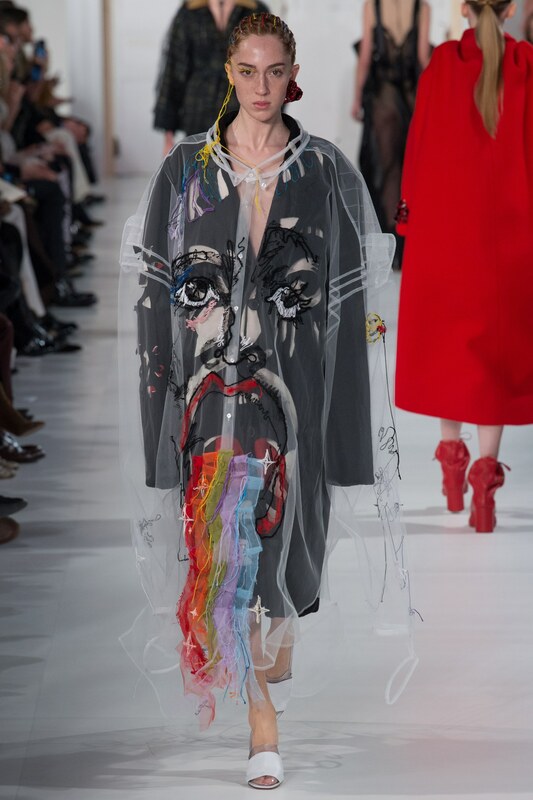 To combat the limitations of the written word Maison Margiela have produced an exclusive podcast entitled the Memory Of…With John Galliano. The designer’s musings explore the context, inspiration and global climate that offer context around the agenda and inspiration of his collections for the house of Margelia. Maison Margiela’s Spring 2016 Ready To Wear Collection entitled “Lo-Fi-Sc-Fi”, was according to Vogue’s Sarah Mower “Galliano’s most rounded and product filled Maison Margelia collection so far”, stating that “Galliano is back on his game again – a relief for those who supported him in the first place and a thrill for another generation who’ve grown up to see him through new eyes”. Reminiscent of Galliano’s sixties inspired fall 2008 collection for Dior, Models donned a beehive up-do but with a futuristic twist exploring the sixties optimism of space exploration. According to Mower, the notes were classic Galliano more than Margiela, as Galliano dug into his arsenal of the exotic and oriental inspiration as well as the bias cut slip dresses, we have seen crop up time and again across his career. Maison Margiela’s Spring Artisanal Show for 2017 did however mark a turning point for Galliano’s own process. Stating that he is “not talking about narratives anymore”. Since his rebirth, Galliano is less interested in creating theatre around his work, opting in with the Margiela aesthetic to let the work speak for itself in order to evoke an emotional response. In a press release Galliano hinted that the collection had overtures of American pioneers, which could be referenced according to Mower in the “tall hats, folksy skirts and native wool embroideries”. Since being at the house, Galliano has continued to explore his technique of decortique. Implementing clever cuts outs that reinvent tailoring, playing with sheers, layering to create depth, and reconstructing through added texture with his stand out embroideries and tulle work. One highlight from this collection was a female portrait made from gathered tulle. This art of deconstruction and reconstruction in part goes to the heart of the Margiela codes of aesthetic; so, Galliano’s established experiments in this area made him a natural fit for the house. But he is not totally transformed beyond recognition, ending the couture show with a Galliano Signature parachute dress. 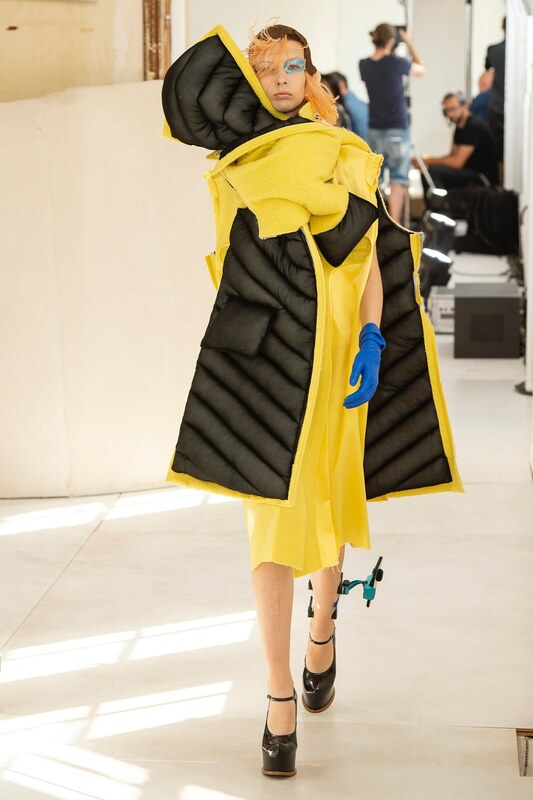 For Vogues Suzy Menkes Galliano’s Autumn Winter 18 Artisanal collection was “John Galliano at his most profound and boundary-pushing.” Exploring the modern worlds digital dependence with models accessorized with a smart phone clamped to their leg. 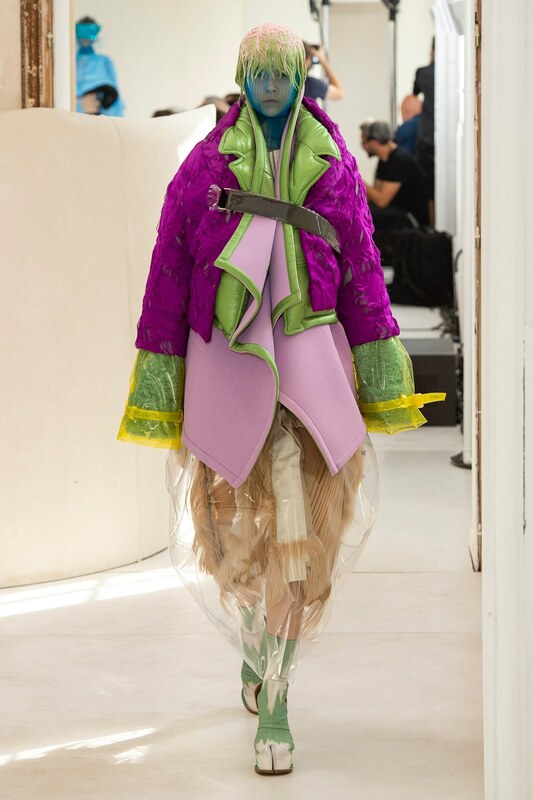 The abstract designs went from voluminous to restrictive, using signature sheers overlaying for depth with layers of colour and implementing his cut out technique in over-sized jackets that gave way to forms hidden beneath. What those forms were remained unclear, female forms where exaggerated or hidden paving the way for Galliano’s androgynous agenda. 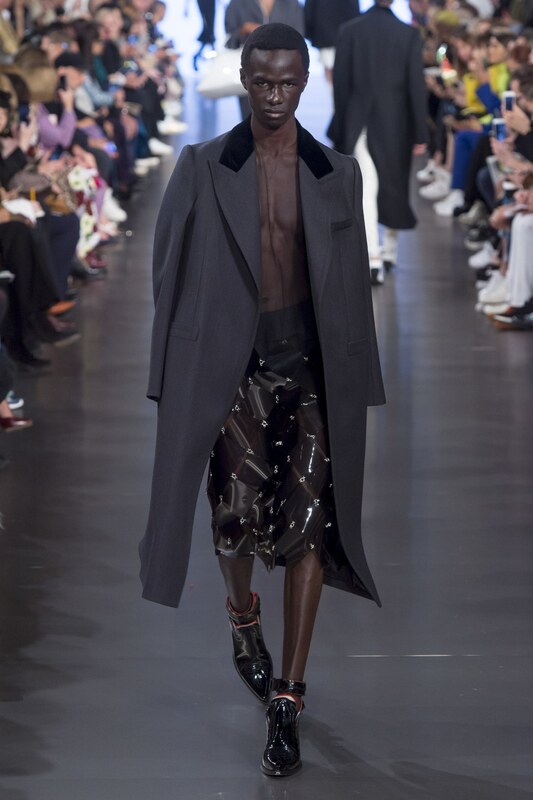 For Spring Summer 19, Galliano tapped into the current resurgence of punk rebellion invading the fashion zeitgeist which reflected on the current global discontent. 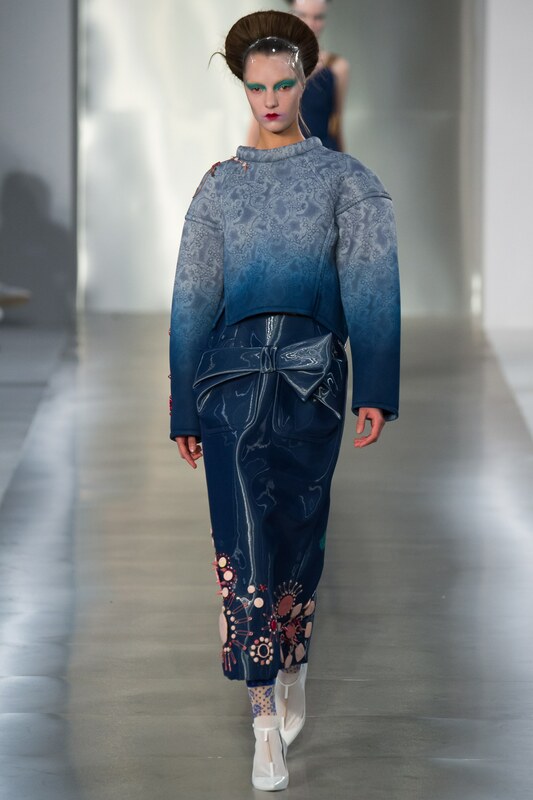 His Prairie Punk Collection according Nina Rothe at The National was a “newer sartorial version” of punk’s ability to express “the visual-language of (people’s) grievances”. In line with this Galliano has unveiled his first perfume for the house of Margiela; “Mutiny” as it’s called, was accompanied by a manifesto which praised the spirit and freedom of the new youth along with a co-ed show where gender barriers were broken down with Galliano’s ground-breaking refusal to continue to segment fashion into a marketplace of just male and female. According to Vogues Anders Christian Madsen, Galliano “has quietly and steadily been developing a new language for the house, drawing on its codes of anonymity and enigmas” Madsen refers to one example in particular where Galliano debuted a new technique in “which he effectively cuts the motif of a jacket into a skirt, then styled it as a cape, and put it on a boy, who looked like a girl”. 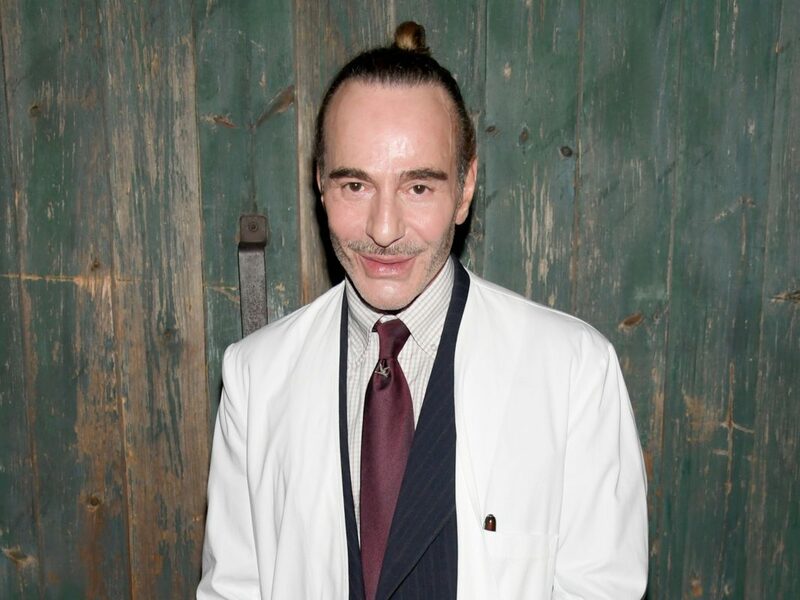 Gender neutral identities being a topic of interest at the moment makes it all the more important for Galliano to weigh in on the debate as someone who has for a long time championed the right to individuality and acceptance, a lesson which he himself has lived through and come out the other side purely evolved. Galliano has taken to spending time with the dedicated interns at Margiela and working with the youth ambassadors for the Mutiny perfume to become acquainted with the current mindset of the youth of today. It is acting as the source of his current inspiration and his conclusion that clothing underpins our every memory, our truth. In his own words Galliano states “When they come to a house, they want to know what the house stands for – rightly so – before they buy into it” for Galliano’s truth “Creativity is (his) Mutiny”. Ever the renegade Galliano will continue to inspire designers for generations to come, with his creative endeavours that continue to push the political and social boundaries. Galliano is at Maison Margiela until this day. Check back every Tuesday for the latest teaser for FIB and Style Planet TV’s newest docuseries, Renegades.